Mrs.Pauline Gross, the mother of Mr.Gross was the Manager of the Mascot Hotel from 1943 to 47. This was the period that Mr.Gross considers as the one that gave him some of the happiest moments of his childhood days. 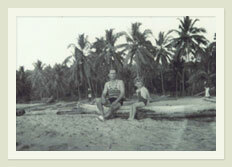 His father Mr.Rollo Gross at that time was working as WTT specialist instructor at the Trivandrum Engineering College. Fifty-six years after he bid farewell to the Mascot Hotel, Gross visited Thiruvananthapuram, and at the very sight of the hotel, memories came rushing through his mind. We share here with you some of the fondest memories of Mr.Gross about the Mascot Hotel, where he had spent time as a little boy for five years. "Some of my most treasured childhood memories are built around the hotel, where I used to accompany my mother, Mrs.Pauline Gross. I was lucky to be part of this legendary building, which was originally built to house the British army." "The large, open spaces and a big duck pond at the hotel were two things that fascinated me no end." "Many a delightful moment added magic to my world here. Like a small airplane being brought in a truck to the huge courtyard. 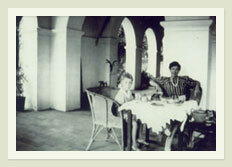 The American pilot then drove it down the Maharaja’s Road to the palace." 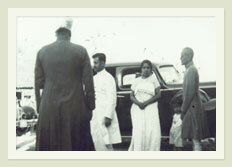 "Every morning, I used to eagerly wait for the Maharaja’s motorcade at the portico, where the entire staff of the hotel assembled to greet him." "Mascot also holds a special place in my heart as it is here that I had my adventures, where I started many a journey of discovery. Like the journey to Kovalam beach, where I made my favourite sandcastles and played with the waves. And when we had our fill of the beach, we would go on boat rides on the enchanting backwaters of Kovalam." 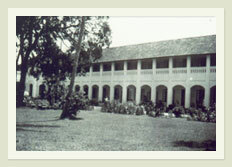 In 1947, I bid farewell to my beloved home till then. Five decades later when I returned to my cherished childhood abode, I found myself transported into a different time zone. The Mascot Hotel, a legendary icon for the city for a century stands tall, retaining the old-world charm and grandeur of a bygone era.